Debuting in 2007,and first shown to the public at the North American International Auto Show, in Detroit, in 2002, the RDX was the first Acura to have a turbocharger. In fact, it was also the first turbo model ever in Honda/Acura’s regular production line-up. It was and is built in Marysville, Ohio. Not that this company hasn’t had its share of experience with forced air induction in the motorsport arena. But according to Honda, the RDX had a gestation period of about eight years, with Honda collaborating with Mitsubishi along the way. In 2010, the RDX developed some 240 horsepower. Acura engineers described the turbo arrangement in this vintage as a variable flow system, which meant that the exhaust gases propelling the turbocharger could be managed to increase and/or decrease the spin rate of the turbine. The result was a lively, surprisingly torquey drivetrain, with plenty of take-off and reserve power. In many ways, it almost felt like a V6 engine. On the downside, the RDX required premium grade gas to get maximum performance out of its 2.3 litre four cylinder engine. The RDX also had an all-wheel-drive system, designed to enhance handling and road performance, as opposed to increasing off-road tractability. This was Acura’s Super Handling All-Wheel-Drive (SH-AWD) system and it was also found in the Acura RL sedan. There was but one transmission choice, a five-speed automatic with sequential shift feature. Elsewhere, the RDX came with all the usual modcons: leather interior, climate control system, one-up/down power windows, keyless entry, 60/40 folding rear seat, power front seats, heated front seats, MP3 input jack, and all so on. Standard equipment also included a back-up camera, and, if you chose the Technology model, you got Bluetooth, a navigation system, and an upgraded stereo. In terms of standard equipment, the RDX was definitely a step up from the Honda CR-V, with which it originally shared componentry. The RDX featured some788 litres of cargo room, so, not the most commodious SUV out there, You could fold down the back seat, 60/40 style, which opened things up, but there were other bigger SUV/CUVs on the market. There were also some issues with the instrumentation and dash layout with the RDX. In a nutshell, it was a tad too cluttered and busy, with too many knobs and buttons. Even Consumer Reports had something to say about this: “the system's dashboard controller is more awkward to use than a touch screen,” they opined. Last but hardly least, there was the re-designed front grille, which was less awkward and garish than its chrome beak predecessor, but still kind of ungainly. Incidentally, the 2010 edition of the RDX wasn’t much different from the ‘09. Basically, this version got automatic headlights, redesigned 18-inch wheels and tires, and, depending on the model, an internal compass, to let you know which direction you’re headed in. Wherever that was, it wasn’t be off-road. One safety note here. The 2010 Acura RDX earned five stars in both frontal and side-impact tests conducted by NHTSA and fared well in tests conducted by the Insurance Institute for Highway Safety. No safety recalls from Transport Canada or NHTSA, for either the 2009 or 2010 editions of the RDX. The National Highway and Traffic Safety Administration, however, does have four technical service bulletins on file for the 2010 model, the most notable of which involves a possibly leaky valve cover apparently caused by paint overspray. To rectify this, dealers will sand away the offending excess paint. The ’09 model, meanwhile, also has a few glitches in the form of software issues that affect the brake warning light, as well as the aforementioned possibly leaky cylinder head cover. Top marks virtually right across the board from Consumer Reports. With the exception of the audio system and “paint and trim”, it’s sweetness and light all the way, with C.R. bestowing its “Good Bet” designation on the RDX. Nonethelsss, this organization has some quibbles with the ride and road noise. The ride is somewhat stiff and road noise is pronounced, opines C.R. Some comments from owners: “Stiff ride at times”, “quick, nimble, and high-tech” and “comfy back seat and roomy enough for over six feet”. In two years, the 2010 RDX has dropped in price by about $10,000. Depending upon the car’s equipment level, you can expect to pay somewhere in the low-$30,000 range. 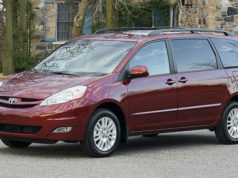 The 2009 edition, however, is about $4000 cheaper and is more or less the same vehicle. Horsepower/Torque: 240 hp / 260 ft. lb. Fuel Economy (litres/100 km): 11.7 city/8.7 hwy. Premium gas. 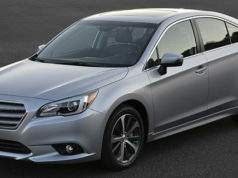 Alternatives: Mazda CX-7, Audi A5, BMW X3, Infiniti FX35, Mercedes GLK 350, Cadillac SRX, Lexus RX350.